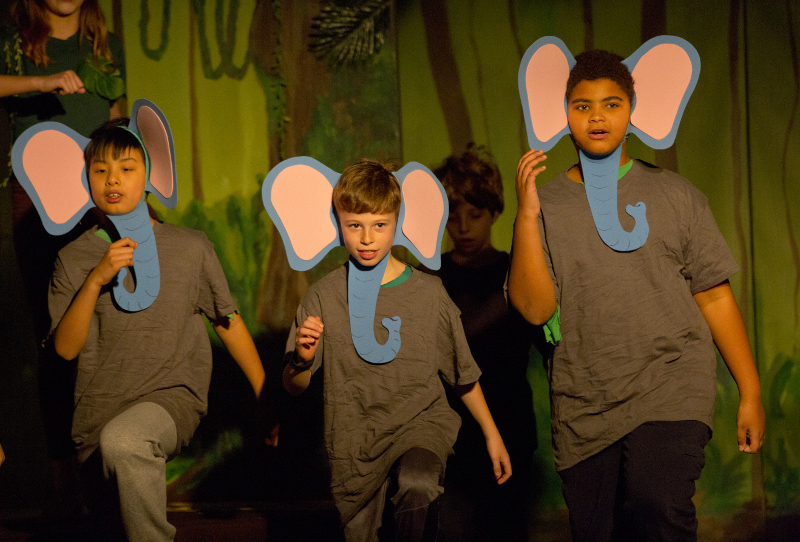 Things got wild onstage during the fifth grade's December performance of "The Jungle Book"! The students spent all of their music class time for the first part of the school year preparing for the show, which was the Lower School's first musical in quite some time. The students' amazing acting and signing were enhanced by the beautiful scenery of Ms. Robin Reczek, Ms. Deb Brown and Ms. Marjorie Vera as a backdrop, the musical direction of Mr. Scott Tofte, choreography of Ms. Danielle Starapoli and direction by Ms. Patti Veconi. 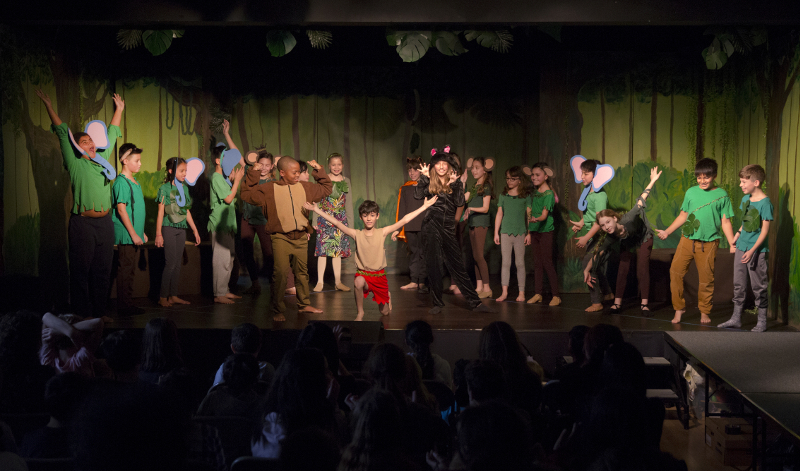 It was true team effort on the part of the students and the Arts Department to bring the story of Mowgli and his jungle friends and foes to life. "Our fifth graders were just fantastic," Ms. Veconi said of the soon-to-be Middle Schoolers, "and when they spontaneously broke into song again after the curtain call, we were all reminded of what a particularly special group this class is." MORE: See the full photo gallery of 'The Jungle Book' performance!